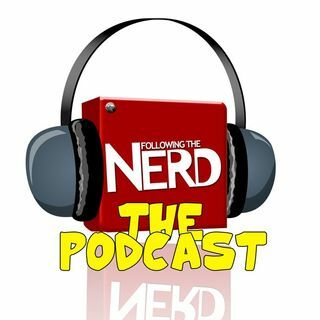 Hello and welcome to the latest episode of the Following the Nerd Podcast. On the show this week we’ll be looking back at the career of the great Christopher Lee who died on Thursday, aged 93. We’ll also be talking about the casting of Shane from The Walking Dead’s new role in the Marvel Cinematic Universe... and it’s a punishing one (subtle, huh?). Next up, we’ll be talking about the latest casting in the Ghostbusters reboot as Thor himself, Chris Hemsworth, takes over the role played by ... See More the great Annie Potts… yes, you read that right. Plus, the first image of Mulder and Scully has gone online from the upcoming new X-Files TV series, and what had Christoph Waltz on his face in the leaked images from James Bond: SPECTRE? And will we be getting another Quicksilver scene in X-Men: Apocalypse? We'll also have Stuart from the Monday Movie Show on with the latest movie and videogame news along with his box office top ten countdown. As always, I'm your host Marc and with me once more in the studio I have the man who, like all Irish men, almost caught fire earlier today when the sun put in an appearance in the sky and then, so unaware of what it was that he was looking at, spent the afternoon in the front garden shouting at the sky and telling the aliens to go home.